Many dentists who decide to offer sleep apnea and snoring services in their dental offices are told that it’s an instant money maker. When done right, dental sleep medicine can be great for your bottom line. When done wrong, well it may not do anything to help your practice be more successful. In this post, we’re going to review two of the main issues that dentists need to be prepared for when offering dental sleep medicine services. The third phase of starting your thriving dental sleep practice is establishing and growing your online presence. Most dentists have websites for their general dentistry practice, but you’ll need to develop a presence as a practitioner offering sleep dentistry services. In this post, we’ll review some of the many ways that you can grow your online presence to spread the word about your dental sleep practice. Exceptional Dental Billing Services – NO Hidden Fees! When you decided to start offering dental sleep medicine services, you never thought you’d be dealing with hours and hours of processing and filing medical insurance claims. The reality is, an effective dental sleep practice will need to offer medical insurance coverage for patients. However, most dental offices don’t have the extra time or staff to complete all of the paperwork, phone calls, and research necessary to maximize this coverage. There are numerous billing services out there who can help you with this process, but it seems like they are taking all of the additional income you should be receiving from sleep dentistry. 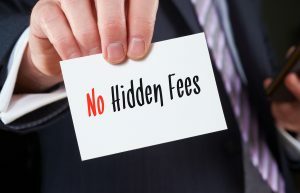 At Brady Billing, we pride ourselves on providing billing services with no hidden fees. Keep reading to learn more about what sets us apart from other medical insurance billing services. Comments Off on Exceptional Dental Billing Services – NO Hidden Fees! In a busy dental office, adding one more thing to your team’s to-do list can be a real challenge, especially when you’re growing the practice by offering a new service like dental sleep medicine. One common struggle dental offices have when it comes to opening their dental sleep practice is deciding whether or not to process medical insurance benefits. Many offices choose to forego this service, encouraging patients to apply for reimbursement of treatment costs directly from the medical benefit provider. While the reimbursement application process is usually pretty straightforward, patients may choose to visit a dental sleep practice that will complete these claims forms for them. If you want to offer medical insurance coverage for your patients without putting unnecessary stress on your dental office team, Brady Billing is here to help. 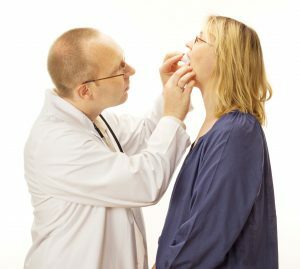 We offer medical insurance and billing services, specializing in assisting dental sleep offices. In this post, we’ll talk about some of the reasons it’s so important to give your patients access to their medical coverage when building a new dental sleep office. When you’re ready to start offering your dental patients sleep apnea treatment options, you will need to follow a simple three-step plan to get your thriving dental sleep practice up and running. First, you need to make introductions, so your peers in the medical and dental community, as well as your patients, know you are offering the service. Second, you’ll need to learn more about medical insurance and billing. Finally, you’ll want to build your online presence and provide the necessary information to your patients both current and potential. In this post, we’ll discuss the first phase of starting your dental sleep practice – making introductions. There are a lot of medical billing service providers that help dental practices with their medical insurance and other billing needs. Your dental office is unlike any other practice in your area, and Brady Billing is not like any other billing provider. 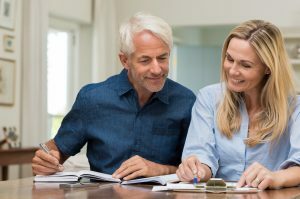 In this post, we’ll discuss just a few of the many factors that set us apart from other medical insurance and billing providers. Do You Offer Medical Billing Training for Dental Office Staff? At Brady Billing, we are dedicated to helping dentists and dental office teams offer the best possible service for their patients. That means we don’t just complete your medical billing tasks behind the scenes in secret without ever explaining what we’re doing. Our knowledgeable team members are here to help you and your staff better understand the importance of medical billing, answer your questions, and yes, we can even help your team learn the steps necessary to process these medical claims. 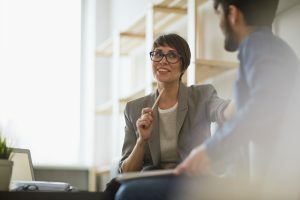 However, our goal is to remove this burden from your team as much as possible and provide support when questions do arise. We create a billing service plan that works for your dental office, so you can spend your time helping patients smile. Comments Off on Do You Offer Medical Billing Training for Dental Office Staff? If you’re still not offering dental sleep apnea therapy, it’s time to get started. More and more patients are educated about these treatment options, and you will likely have an increasing number of requests from patients as awareness of sleep apnea dental therapies continues to grow. Many dentists are still referring patients to their competitors for sleep apnea therapy, but we all know that’s a slippery slope. Instead of sending patients to other dentists for sleep apnea therapy, we recommend working with Brady Billing to offer these treatments without needing to worry about any of the hassles associated with providing sleep apnea services for your patients. In this post, we’ll walk you through three things every dentist needs to understand before they start offering sleep dentistry services. We often attend dental sleep apnea seminars and would love to discuss your billing options and help you being providing patients sleep apnea treatments. Is There a Difference Between Preauthorization & Predetermination? 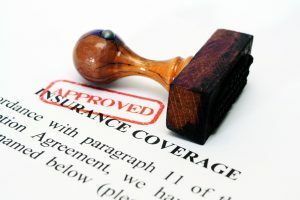 There is, but the specifics of medical coverage preauthorization and predetermination can be complex and frustrating for dental office teams who are already overwhelmed with processing and filing dental benefit claims. 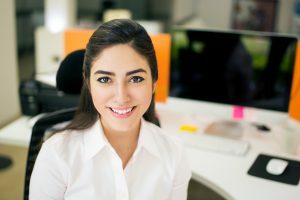 If your office provides patients with oral appliance therapy for sleep apnea, you’ll often need to contact a patient’s medical insurance provider to get preauthorization and predetermination to ensure they can receive coverage for the expenses associated with their sleep apnea therapy in your office. The Brady Billing team is happy to answer all of the medical preauthorization and predetermination billing services for our dental offices, so you can place your focus where it belongs – on your patients. Comments Off on Is There a Difference Between Preauthorization & Predetermination? How Can Adding Sleep Apnea Therapy Improve My Practice? It’s too much work; I don’t want to deal with medical insurance; my patients don’t need this treatment. We’ve heard it all. Dentists have a variety of reasons for skipping out on offering sleep apnea therapy using custom oral appliances, but with awareness of this sleep disorder growing, not offering these treatment options can put your practice at a disadvantage. Don’t miss out on attracting potential patients. By working with Brady Billing, you can offer sleep apnea therapy, and we’ll handle the billing and insurance hassles. Comments Off on How Can Adding Sleep Apnea Therapy Improve My Practice?